“We're always being told that looking on the bright side is good for us, but now we see that it's a great way to brush off poverty, disease, and unemployment, to rationalize an order where all the rewards go to those on top. The people who are sick or jobless--why, they just aren't thinking positively. They have no one to blame but themselves. 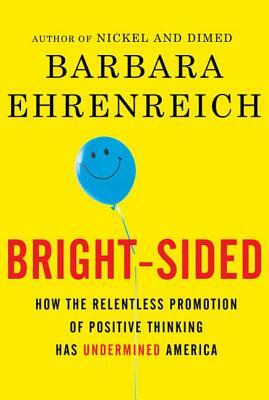 Barbara Ehrenreich has put the menace of positive thinking under the microscope. Anyone who's ever been told to brighten up needs to read this book.” —Thomas Frank, author of The Wrecking Crew and What's the Matter with Kansas?